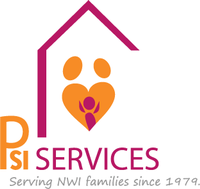 PSI Services is a non-profit therapeutic foster care licensed agency. PSI aims to provide to each person the range of evaluation, treatment, and institutional supports that enables the person to grow and develop. PSI believes strongly that regardless of the challenges or level of understanding or age of the persons we serve, they have rights, which must be recognized and protected. PSI staff is committed to empowering both children and their families to exercise those rights. PSI Outpatient services are interdisciplinary, under the direction of the PSI Consulting Psychiatrist.